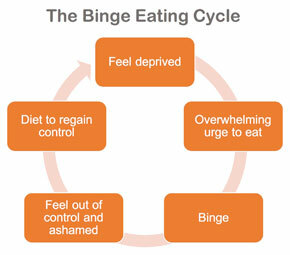 Many dieters will attest to the fact that when their diet ends it is often in the form of binge eating. They will describe it as “letting go” and “out of control” eating. Yet, dieters will never blame the diet for this behavior, they blame themselves and lack of willpower. What they don’t know is that it’s not lack of willpower but it is dieting itself, and self imposed restrictions, that drives binge eating. Dieting in it’s nature restricts certain foods that are then perceived as “forbidden foods”. Increase the novelty and desirability of forbidden foods. Increase taste and reward stimulation. This means dieters experience higher reward and pleasure from forbidden foods than non-dieters do. Increase cravings for fat and sugar which triggers overeating. Stimulate the brain to “light up” when exposed to these foods and have intensified cravings and drive to eat more. So it’s no wonder that dieters can’t stop eating when they succumb to thier cravings! In addition, when dieters break their diet by eating a forbidden food they experience what is known as “Last Supper Syndrome” – believing this is the last binge. When you diet you truly believe you will start the diet tomorrow and never eat these foods again (or at least not for a while) so you enjoy all the foods you can before the restriction resumes. Except it’s never the last time. This mentality feeds into the dieting and binging cycle. The first step is to give yourself unconditional permission to eat and make all foods allowed. There are no “forbidden foods”. The purpose of having unconditional permission to eat is so that you begin to experience food habitation so that the heightened appeal of a particular food decreases. If you are confused as to what Food Habituation is… stick with me! Habituation is our ability to adapt to repeated experiences and with each experience the pleasure decreases. Think of it this way: You buy a new car. At first, how smooth it drives thrills you and you notice the smell of new leather and the shiny new paint. You’ll want to drive it at every opportunity. But as time goes on you stop noticing these little things and use the car for its functionality. You no longer look for every excuse to take it for a spin. Although you may still enjoy driving it you no longer feel as excited as when you first got it. The same goes for forbidden foods. 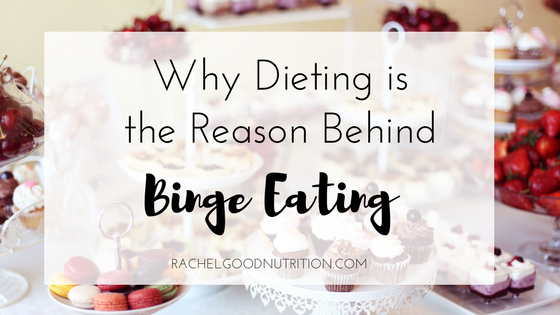 When you know all foods are allowed at any given time and you repeatedly allow yourself to enjoy them they will begin to lose the novelty and heightened appeal and you will need much less to satisfy you, thereby reducing binge eating episodes. An interesting study was done on a group of obese and non-obese women. Both groups were given meals that consisted of the same foods for a period of 5 weeks. The result was increased habituation (they experienced decreased pleasure in the foods with each eating experience) and decrease in energy intake (overall, they ate less). But one can only experience food habituation when all foods are allowed. It will be difficult to tire of food you believe you will never eat again, such as the thought process experienced with “Last Supper Syndrome”. 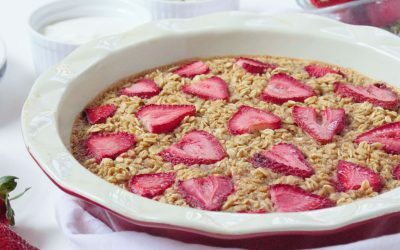 Once you give yourself unconditional permission to eat, and you know these foods are available at any time, you can then approach foods with do I WANT to eat it right now? Overtime you will learn to enjoy all foods and find that you eat less of it because you won’t need as much to satisfy you because you aren’t scared of these foods being restricted. There will no longer be an urgency to overeat. Purim (what some people like to call the “Jewish Halloween”) is a day full of all the foods that many people view as “forbidden” such as candy, chocolate, cake, and all other kinds of sweets. How many times has Purim approached where you vowed to have none of these “forbidden foods” only to have drowned yourself in them by the end of the day? Give yourself full permission to enjoy ALL foods: salad and candy alike. This means no guilt with whatever it is you choose to eat! All foods are emotionally equivalent. In this way you remove the urgency to eat sweets because you know you can enjoy them even when it isn’t purim. Once all foods are allowed you can clearly think of what it is you really want. You might find that you aren’t really in the mood for the chocolate sitting on the table becuase it is no longer as alluring when you can have it. Or you might just want it. There is no wrong or right answer. It is figuring out for yourself what you really want! Once you decide what to eat take a moment to be present and notice the taste and texture. Is it as good as you imagined? If it is, enjoy it. If it isn’t – ditch it! You might just find that you don’t even like it! You are not obligated to finish something you don’t like just becuase you took a bite. In this way you will make sure you eat foods that truly satisfy you. Any time you start to tell yourself that you are eating something “bad”, give yourself any sort of critisim, or start to make deals with yourself on how to compensate for eating chocolate – you are creating rules which lead to restriction. Remember that restriction will create deprivation and urgency which leads to over eating. Instead, focus on creating a saitsfying eating expereince. You aren’t being “bad” if you want to enjoy chocolate! It is your G-d give right! Remember, repeated exposure to “forbidden foods” will eventually decrease the reward experienced from eating those foods, as long as you give yourself unconditional permission to eat, and overtime this can help you stop binging. Trust the process and trust yourself! Wishing you a Happy Purim, Rachel.